Aluminium Performance Flywheel for 1968-1980 MGB. Makes a major difference in acceleration as this unit is only 9 pounds and frees up horsepower to accelerate the car forward and not a big heavy flywheel. 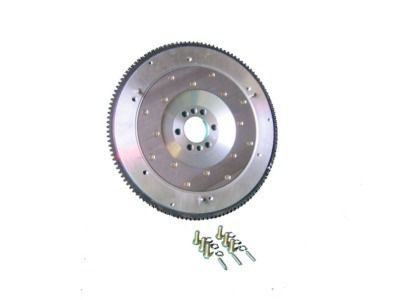 Uses stock sized clutch components and has changeable ring gear and friction surface.